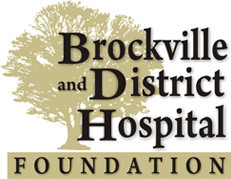 During the 2018 Smile Campaign, Tim Hortons (Brockville) sold 19,066 Smile Cookies, and BGH was able to purchase four chemotherapy treatment chairs. 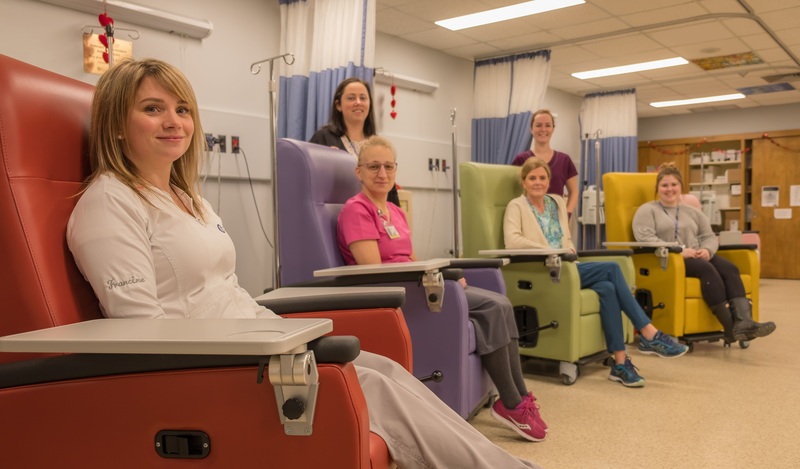 Pictured (Seated l-r): Francine Croteau, Registered Nurse (RN), BGH; Penny Levesque, Registered Practical Nurse (RPN) BGH; Shannon Jones, RN, BGH and Brianna Galway, Unit Clerk, BGH. (Standing l-r): Deanne Henson, Program Manager Outpatient Clinics, BGH and Allie Steacy, RN Student (St. Lawrence College). Photo by Shawn Leahy. The 5th Annual Maternal Care Golf Tournament raised $20,000 to purchase two new bassinettes and a sleeper chair for Brockville General Hospital’s (BGH) Women's and Children's Program. Pictured Front row (left to right): Krista Hare, Event Planning Committee Member; and Kristin Hare, with son Chase Hare. Second row (left to right) Joan Simon, Executive Director, Brockville and District Hospital Foundation; Duska Barkley, Registered Nurse (RN), BGH; Carole Hare, Event Co-Chair; and Jen Brouwer, RN, BGH. Back row (left to right) Tom Hare, Event Co-Chair; Kristina Swank, RN, BGH; Abby Bennett, RN, BGH; Cora Lee Boileau, RN, BGH and Kellie Kitchen, Director of Professional Practice & Women & Children’s Programs, BGH.